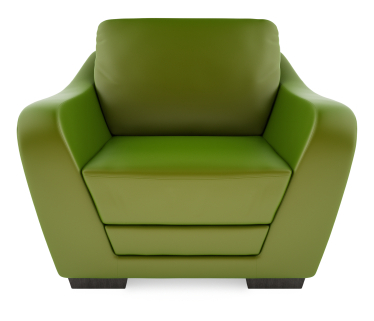 Durable Vinyl Chairs, Sofas & Upholstered Furniture Went from Eww! to Wow! Quick game. List the five words that come to mind when you hear the word “vinyl.” Chances are your answers were somewhere in the neighborhood of hot, sticky, sweaty, uncomfortable, ugly, and dated. Well, that was the vinyl of your childhood. The vinyl of today only vaguely resembles the vinyl of yesterday. No longer just the less expensive alternative to leather, vinyl has morphed from the plastic-like surface that stuck to your skin to a soft, supple line of highly-durable upholstery. Today’s generation of vinyls not only has a new look and feel, it also offers fashion-forward colors, embossments, and patterns. When considering upholstery for your health care, education, hospitality or recreation environment, vinyl can offer above average durability, fluid-resistance, and stain-resistance. Even more appealing are the prices of these new generation vinyls. While no longer the lowest-cost option on the market, today’s vinyls are priced far below woven fabrics treated to resist fluids and stains. So, when it comes to upholstery choices you really can have it all – low cost, high performance, high style. Who knew? For more assistance go to "Fabric Characteristics: selecting the right fabric"